Matt Harvey's time in Queens has officially come to an end. 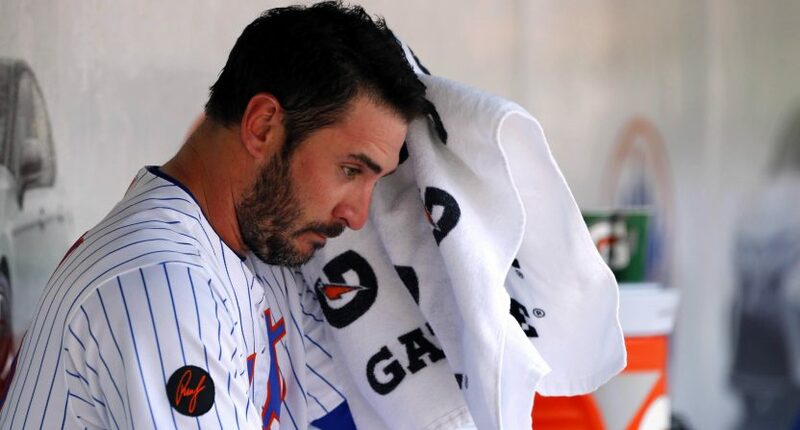 Matt Harvey’s career with the New York Mets is over. It will continue, for whatever reason, in Cincinnati. The Reds acquired Harvey on Tuesday from the Mets for oft-injured catcher Devin Mesoraco and a pile of cold hard cash. The cash involved in the trade is to help offset Mesoraco’s salary – he’s making $13 million this season compared to just $5.6 million for Harvey. The teams are involved in a three game series right now, but as the Reds’ tweet stated, Harvey won’t join the team until they visit the Dodgers later in the week. Harvey was designated by assignment last week by the Mets after refusing to accept an assignment to the minor leagues, a day after Harvey was bludgeoned by the Braves to propel Atlanta to first place in the NL East, above New York. Cincinnati’s rotation has been a complete trainwreck this season, ranking last in baseball with a 5.68 ERA and second to last in the National League with 135 strikeouts. Their starting pitchers have also given up 41 homers, the most in baseball and a mark that 15 more than the Mets and Marlins, the NL teams ranking second with 26 homers allowed. Harvey isn’t exactly an improvement on paper, with his 7.00 ERA and 20 strikeouts, nine walks, and six homers in 27 innings, but he’s shown flashes of brilliance in recent seasons since helping the Mets win the 2015 NL pennant. He just hasn’t been able to consistently perform. Most of the damage has been done by Brandon Finnegan, the former Royal acquired in 2015 as part of the Johnny Cueto deal. In 20 2/3 innings over five starts, Finnegan has an 8.27 ERA, 14 strikeouts, 15 walks, and has given up five dingers. Homer Bailey, who somehow has thrown *two* no-hitters in his career and was given a $105 million contract by the Reds in 2014, has a 5.61 ERA in 43 1/3 innings and has allowed 11 homers (matching his total from last season in ten fewer starts). On the bright side, Tyler Mahle has been decent enough, striking out more than a better per inning and posting (by comparison, at least) a respectable 4.35 ERA. Sal Romano has walked nearly as many batters as he’s struck out, but his ERA is even better at 4.21. And then there’s Luis Castillo, the former Marlins prospect (shoutout to the Dan Straily trade) who has an ERA of 7.01, but at least has a 50.4% groundball rate and a 14.6% whiff rate, which are more than passable numbers. Mesoraco, if healthy, fills a need for the Mets, who have their two best catchers (Travis d’Arnaud and Kevin Plawecki) on the DL. They have had to rely on Jose Lobaton (.163/.265/.253) and Tomas Nido (.147/.194/.176) behind the plate with those two out, and neither has been remotely productive. Mesoraco will turn 30 in June, and hasn’t even received 200 plate appearances in a season since 2014 thanks to a litany of injuries. He was a monster for the Reds that year, slashing .273/.359/.534 with 25 homers in 114 games, but hasn’t been the same player since then. This year, he’s played in 18 games for Cincinnati, and has hit .220/.289/.341 with one dinger. If neither player ends up working out in their new home, the impact will be minimal for their franchises – both Harvey and Mesoraco will be free agents after 2018. But if either or both players stay healthy, maybe they can turn their careers around and show the form that made both of them All-Stars in the past.